As we’ve stated in the past, our job here at Android Headlines is more than just bringing out the latest and greatest news and rumors relating to Android and even Google – to an extent. But it’s to educate our readers. Which is why we do a ton of How to’s on every flagship device that comes across our desk. Earlier today we did one on how to take a screenshot, which may seem easy, but we get a ton of questions in our inbox about that exact task. Now we’re going to show you how to insert and remove the Nano SIM and MicroSD card on the HTC One (M8). It’s actually pretty easy, but we also haven’t had a device where you have a tray for the microSD card before. Usually you just pull the back off and stick it in. With the HTC One (M8), the left side has the Nano SIM card tray and the right has the MicroSD card tray. 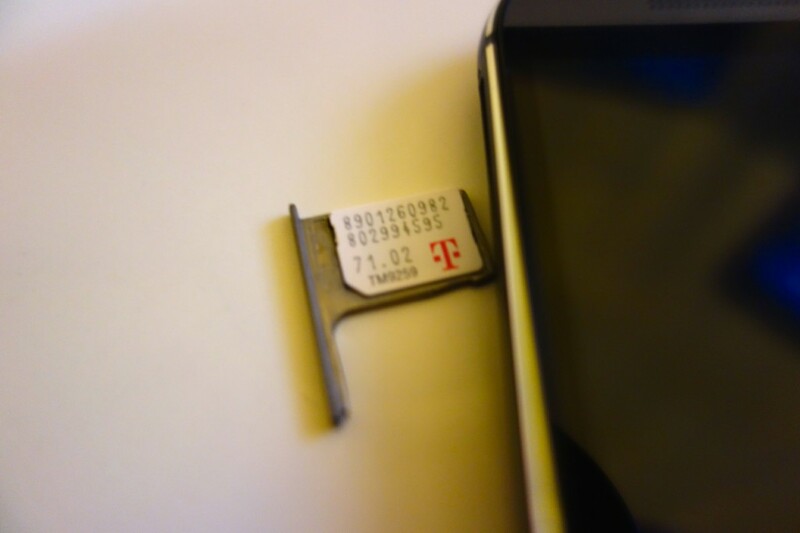 You’ll need to use the SIM card removal tool that HTC includes with the device. Just stick it in until the tray pops out and pull it out. It’s just that simple for both the Nano SIM card and the MicroSD card. Remember that the HTC One (M8) does work with a 128GB microSD card, which right now Sandisk is the only one that has a 128GB microSD card available. Man that’s a lot of storage. You can check out the video down below for a more detailed how to. There’s only so much some words on a webpage can do, but a video can do so much more. If you have any questions – as usual – be sure to let us know in the comments below. The post Android How To: Remove the Nano SIM and MicroSD Card on the HTC One (M8) appeared first on AndroidHeadlines.com |.